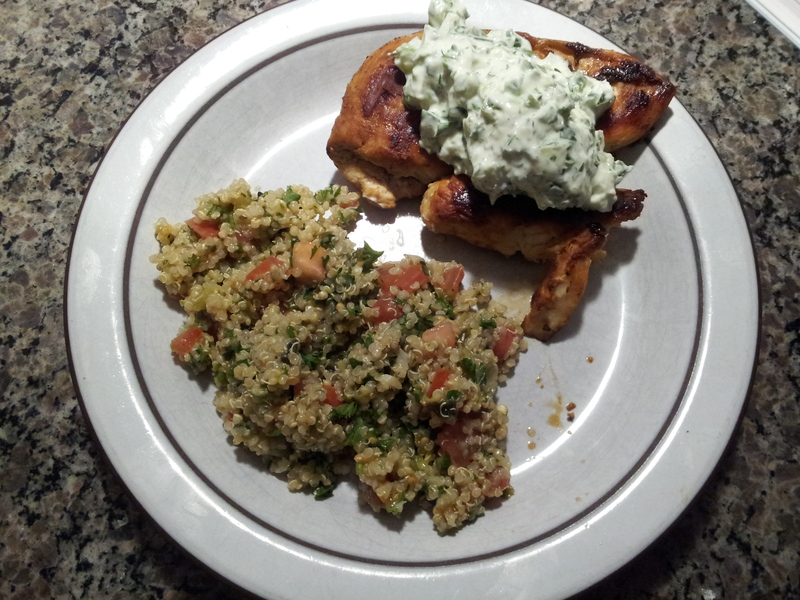 This meal came from two different cookbooks: Chicken with Onion, Chilli, and Greek Yoghurt, from “How to Eat: The Pleasures and Principles of Good Food” by Nigella Lawson, and Couscous Salad, from”The Cook’s Encyclopedia of Vegetarian Cooking” by Linda Fraser. 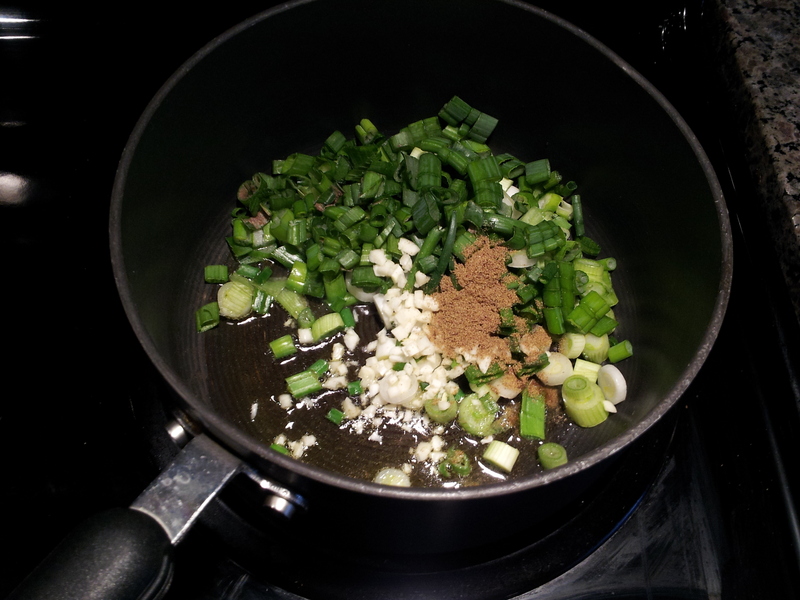 Heat olive oil in a sauce pan, then add the green onions, garlic, and cumin. Cook for a minute, then add the vegetable stock. Bring stock to a boil, then add the quinoa. Reduce heat to low and let quinoa cook for 15 minutes, partly covered. If using couscous, remove pot from the heat when adding couscous, and let it sit for 10 minutes. 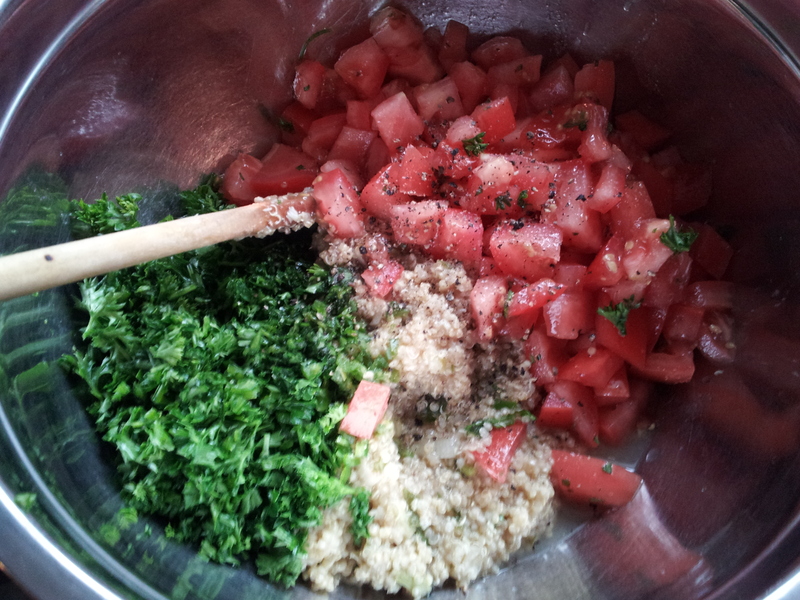 Place couscous, tomatoes, parsley, cilantro, chili, lemon juice, and salt and pepper in a bowl. Mix together, cover in plastic wrap, and put in the fridge. Hint: press plastic wrap so it touches the salad to avoid excess condensation dripping on the salad. Next, I made the chicken. I realized after that I could have cut the recipe in half, since it makes a lot. Start off by smashing the chicken so it is flat, then marinade it in the lemon juice, 3 tablespoons of olive oil, and salt and pepper to taste. 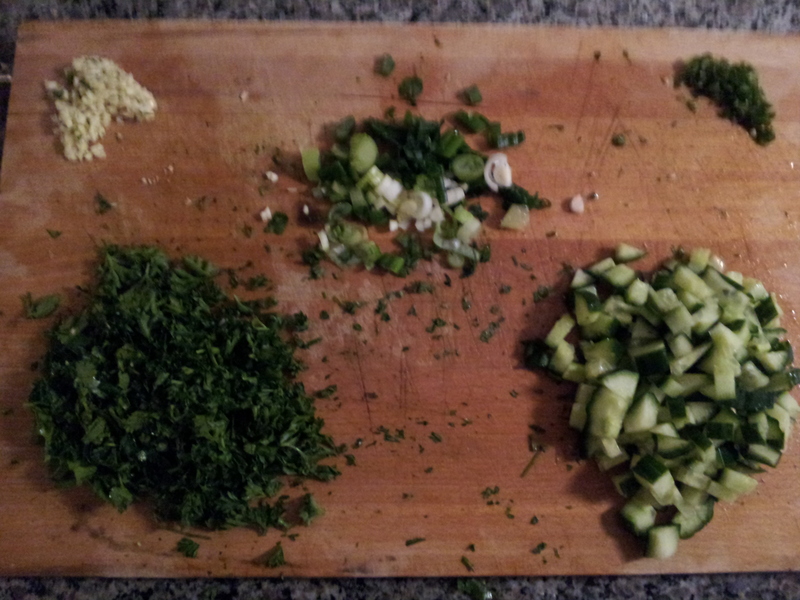 Add green onions, chili, garlic, cucumber, coriander, and parsley to Greek yogurt. Remove liquid from chicken marinade and set aside. Fry chicken in oil, about 5 minutes on each side. They should look golden brown, but make sure they are cooked all the way through. I had to add on a few minutes of cooking time, probably because I did not smash the chicken flat enough. In the last minute of cooking, add the lemon marinade. Serve the Greek yogurt on top of the chicken. Easy, eh? It turned out delicious, too!